Why is an innovative culture the single biggest factor in a competitive marketplace? Because as AirBNB, Uber, and Netflix have shown us disruption can come from anywhere. Organizations best equipped to face today’s world are those that are able to embrace uncertainty and find creative solutions. This is what keeps businesses ahead in the marketplace. You need to empower your team to generate and execute bold ideas. But how? For the last 25 years, Second City Theater veteran, Jeff Rogers has shared his insights on transforming work into PLAY. 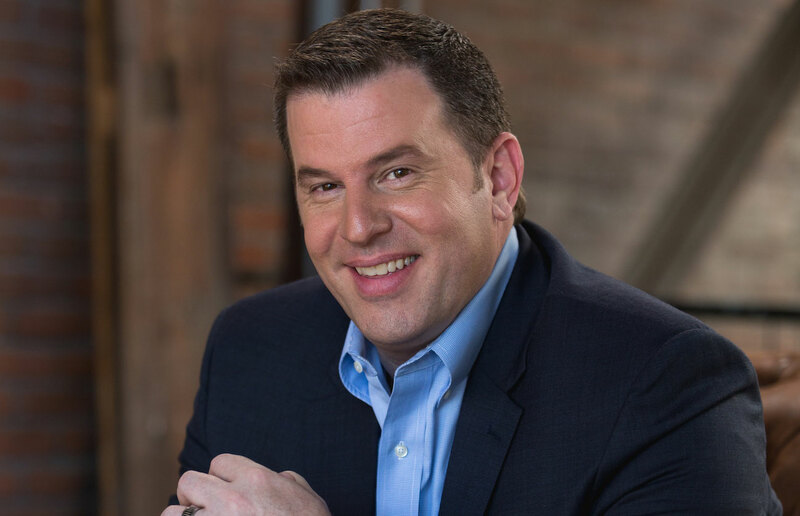 From Best Selling Author to award winning Creative Director, and from founding The Factory Theater in Chicago to appearing in dozens of television commercials for the world’s biggest brands or the host of TV’s "Homemade Game Show". Jeff has used the PLAYMaker Mindset to create unique solutions and performances that build a positive and profitable culture for his clients. Jeff shares the Four Rules to reach this level of innovative clarity using a simple mindset found in The Power of PLAY. Release The Kraken… of Energy! Your group will learn to use the most powerful tool at their disposal through a series of fun, interactive exercises that will give everyone a new way of approaching work, each other, and life itself. "Thank you Jeff, you left our team with a smile on their faces and a spark in their minds." "Jeff's talk about how we can use the PLAYmaker Mindset to reach our goals by igniting our creative potential really hit the mark with the audience, the feedback was awesome." "It was a pleasure working with Jeff. He took preparation very seriously, asking all the right questions and doing his homework. He then proposed a few scenarios allowing me to choose how he might weave the message together in a way that would most benefit my team. I loved the way he incorporated little things throughout that let the audience know he was fully aware of our culture and challenges. Moreover, he incorporate our mission/vision slide in his presentation and made it part of the story. Well done!" "Jeff was an excellent speaker for our event. He got the audience laughing and engaged right away and by the end of his presentation they were hanging on every word. Easy to work with and I would highly recommend him!" Copyright© 2018 Meet Jeff Rogers. All rights reserved.